Joseph Lindon Smith was a renowned American painter. 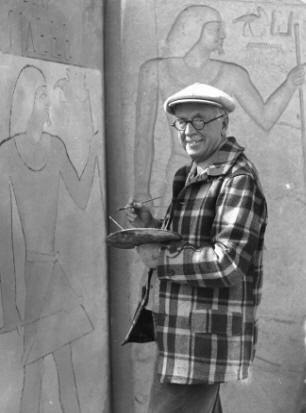 He studied art at the School of the Museum of Fine Arts, Boston, and is most noted for his paintings of Egyptian tomb reliefs in the early 20th century. 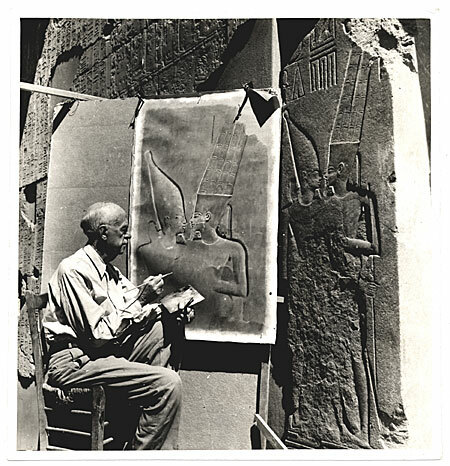 Smith documented wall paintings in tombs, and monuments in Giza and the Valley of the Kings, working with experienced Egyptologists and researchers such as Howard Carter, Gaston Maspero, George Andrew Reisner, and Theodore Davis. Many of his works are the best surviving documentation of antiquities we have to this day. 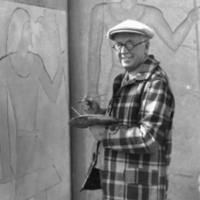 Personal Memoir Tombs, Temples, and Ancient Art published after his death on October 19, 1950. 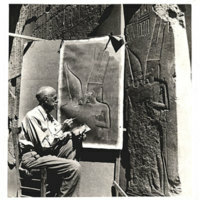 Artist who worked in Egypt for many years, and joined Theodore Davis's team in 1906-1907 and 1908-1909. His work includes documenting KV55. “Lindon Smith, Joseph,” The Emma B. Andrews Diary Project, accessed April 25, 2019, http://www.emmabandrews.org/project/items/show/7.